PM's invitation to opposition to join his government draws criticism from across the political spectrum. Prime Minister Binyamin Netanyahu has drawn fire from both the right and the left for the end of his speech Tuesday night in the wake of the terror attack on a Jerusalem synagogue, in which he called on opposition parties to join in a unity government. In his speech, Netanyahu said, "We must put aside all of the little differences and unite around one major issue - defending Jerusalem, defending the security of Israel's citizens...What is called for at this time is national unity." Netanyahu’s call was followed up by an official invitation from Coalition Chairman MK Ze’ev Elkin to opposition parties to join the unity government. They were quick to reject the invitation, however, with Labor and Meretz condemning Netanyahu’s policies. "Unity is always important and especially at this time, but the Labor party will not be part of a government whose policies do not provide security and hope to the citizens of Israel," said Labor leader and opposition leader MK Yitzhak Herzog. "The Labor party is a conceptual alternative and it should head the country's leadership because we must produce a change here and quick, and therefore [the Labor party] has nothing to look for in the government headed by Netanyahu and the Likud," he added. Meretz chairwoman MK Zehava Galon rejected Netanyahu’s call as well, describing his speech on Facebook as “a spectacular show of running away from responsbility”. “At the end of his speech, Netanyahu called on the opposition leaders to join a national unity government. Obviously, we are all united around the war on terror, but to lend a hand to a government that only pours fuel on the fire and blocks any way to put an end to hostility and violence, is really not the way,” she said. “As soon as the prime minister will go to a political process that includes a real compromise, Meretz will be the first to give him a safety net. Until then, this talk is nothing more than a cynical exploitation of the attack for the purposes of political scheming,” declared Galon. Meanwhile, Netanyahu’s call for a unity government drew criticism from within his own party as well, particularly from MK Danny Danon. “The Prime Minister talks right but his actions are acts of the left - Livni and Lapid do what they want in the government, leading to a political and economic loss. Now Netanyahu wants to add Galon so that she can trample the policies for which we were elected,” said Danon. “At the beginning of his term it was Livni and Lapid, and now Bibi wants the entire left in the government with Galon and Meretz. 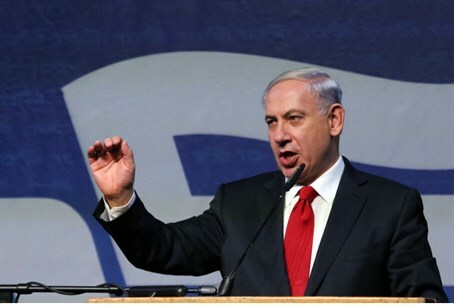 It's time to return the Likud government to the Likud way,” he added.